🎀 Intriguing and deep Stories. It’s an avenue where writers compete with each other. It’s avenue to show how raw and creative writers could be. 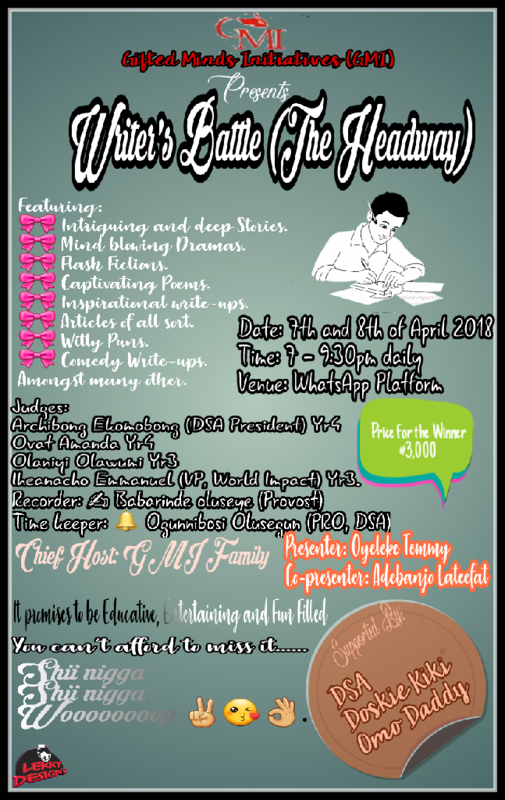 It’s an open platform to stimulate creativity, Promote literary excellence, and broaden the concept of intellectualism. 🏵 Archibong Ekomobong (DSA President) Yr4. 🏵 Iheanacho Emmanuel (VP, World Impact) Yr3. Education: DEWEEK De-Extra Ordinary Season (Talent And Gifted).